Solid State Drives (SSDs) are an emerging storage technology that promises lower rates of failure than other forms of storage media. However, as with any form of data storage, these advanced drives still fail. Because the technology is so new in the marketplace compared to conventional HDD's, most data recovery firms have a lower success rate. 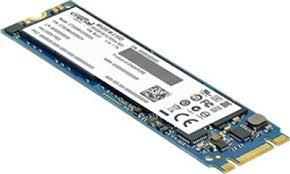 A solid state drive uses NAND flash memory to access data and has no moving parts. SSD's are more shock resistant and are commonly used in smart phones, tablets and increasingly in laptops and desktop computers. 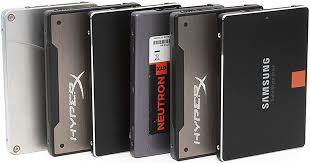 Physical failure is less likely with solid state drives, without moving parts they are much more durable. Less prone to physical shock & water damage, SSD's still fail by common accidents like shock damage or spilled coffee. However, SSD's are just as likely as conventional hard drives to experience logical software failure. Accidential deletion of files and software errors do happen. Let's uncover how by dicussing how memory works on a SSD. 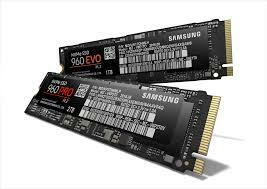 MEMORY IN SOLID STATE DRIVES Most solid state memory today utilizes NAND-based flash memory, which retains memory even without power. The architecture within these drives is even more complex than in most RAID systems because NAND flash memory chips are used in parallel to increase speed and performance. Data striping and interleaving further enhance the performance of today's sophisticated technology. When a block can no longer retain data, or when data errors cannot be corrected by the drive's error correction algorithm, the drive’s controllers merely “select” another block. But when all spare blocks are used, the drive will fail, requiring a professional recovery service to retrieve data. Other common reasons for SSD failure include Abrupt Power Loss, Magnetic Fields, Electric Charges and Firmware failures. Because of the complexity of these drives and recovery procedures, as well as significant variations in wear-leveling algorithms between manufacturers, it’s important to call 24 Hour Data, a company with extensive experience on Flash memory drives. Do not attempt a recovery procedure on your own – this could result in permanent data loss.